Suddenly there’s a little chill in the air. Time to switch back to hot coffee, begin to get your sweaters out… and to get ready for New York Fashion Week: September 2017 Edition. From September 7-13, hundreds of designers will show their creations in NYC, and fashion pros, bloggers, models, shutterbugs and die-hard fans will take over the city, all celebrating beauty and self-expression. As always, there’s been some reshuffling of designers in attendance at next weeks shows. Several heavy hitters have decamped to Paris this year, including Altazarra, Thom Brown, Rodarte and Proenza Schouler. Though these native wonders will be missed, there’s still plenty to be excited about. Topping the list of anticipated comebacks is Tom Ford, who returnes to NYFW this season. Ford’s shows attract the A-list celebrity crowd; usuals are everyone from his cinematic muse Julianne Moore, to fashion legends like Iman and Lauren Hutton, to natural beauty Alicia Keys. We can’t wait to see the looks on the runway and the audience alike. Some newbies to NYC include Australian designer Daisy, a favorite of both Bella Hadid and Kim Kardashian West, and Australian-American designer Matthew Adams Dolan, who has kept Rihanna in chic denim for years now. On the more experimental end of things, Snow Xue Gao, a recent Parsons graduate who has already been favored by Vogue Magazine, will be showing her beautiful creations that merge her Chinese heritage and western culture to spectacular effect. One thing that makes New York distinct from the other major fashion cities is it’s emphasis on emerging designers. Though some of the designers may be known in their native cities, NYFW offers a chance for them to launch on the international marketplace. First Stage is a new creation from IMG, the creator of NYFW: The Shows. Most of these shows will be hosted at Dream Downtown, a cosmopolitan, boutique hotel in the heart of Chelsea and in close proximity to the Meatpacking District and all of the shopping, eating and celebrating you could ever want. This is a great chance to discover tomorrow’s hot designers and spot future trends. Nothing makes a look more polished than, well, the right nail polish. Whether you’re attending shows and parties, hoping to get noticed by a street style photographer or just in the spirit of the week, why not indulge in a few of the perfect shades to take your look to the next level of style? Butter London Trend Laquer has such a wide palette to choose from you’ll be able to be as artistic, classic or eye catching as you want. If you’re not so game for joining the circus of NYFW this year, you can always live stream the shows at home and take the opportunity to indulge in a little self care. 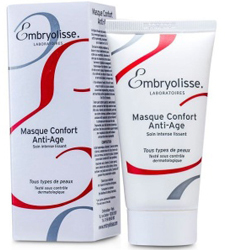 Kick back and enjoy the show while you let Embryolisse Anti-Age Comfort Mask work its wonders. It’s chockfull of moisturizing, regenerating and nourishing ingredients. Following application, skin becomes firmer and plumper and fine lines and wrinkles fade. 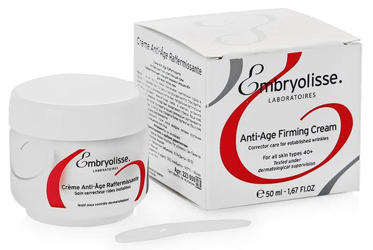 Follow it up with Embryolisse Rich Anti-Age Firming Cream to add a little density and soften the skin, and you’ll be the model of natural beauty. 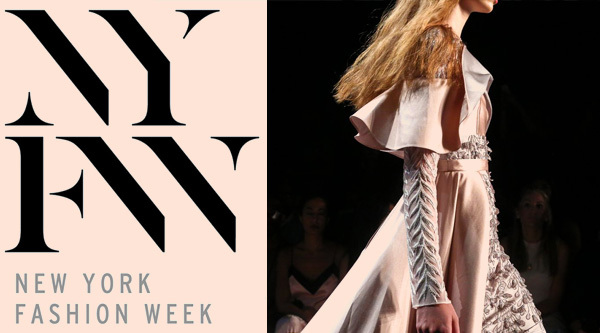 Whatever you choose to do, we hope you enjoy the glamour, creativity and fun of New York Fashion Week! Tagged design, fashion, Fashion Week 2017, glamour, trends. Bookmark the permalink.